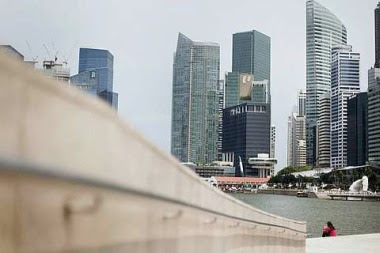 SINGAPORE: Aberdeen Asset Management Asia has launched a property fund of funds aimed at institutional investors seeking to gain exposure to real estate in the Asia-Pacific region that could raise up to US$400mil. Aberdeen, best known in Asia for its equity funds, has been building up its offerings in other asset classes. It launched two bond funds that will invest in Asian and emerging market debt in April, and set up a US$400mil joint venture with GE Capital Real Estate in May that will invest in residential property in Tokyo. “Having built a substantial specialist equity and now a growing fixed-income business over the past 20 years, property stands as the next asset class that is ripe for expansion,” Aberdeen Asia managing director Hugh Young said in a statement. For its latest property fund of funds, Aberdeen is targeting 13%-17% annual returns with gearing of 50%-60%. Aberdeen's existing Asian property funds last year returned 13.3% to 25.7%, it said. Aberdeen expects to raise US$300-US$400mil. Aberdeen's head of property for Asia Pacific Puay Ju Kang said the UK fund manager expected to allocate most of the money to private equity fund managers that concentrated on single countries or a specific sector. “We tend to prefer managers who are very focused with a very specific skill set,” said Puay. She said Aberdeen, which manages or advises on about US$1bil in Asian real estate investments, had to date allocated funds to managers that invest in Japan, Singapore, China, India and Australia. Besides offices, malls and residences, Aberdeen has also put money in a fund that has invested in Japanese nursing homes. PETALING JAYA: Nadayu Properties Bhd (formerly Mutiara Goodyear Development Bhd) has formalised its acquisition of a 3.56 acre plot of land along Jalan Sultan Ismail from UDA Holdings Bhd for RM215.5mil. The company told Bursa Malaysia yesterday that based on UDA's financial year ended Dec 31, 2010, the audited net book value of the land was RM31.71mil, adding that there are plans to build a 30-storey service apartment building, an eight storey podium car park and a three-storey retail shopping complex. Nadayu said the acquisition was part of the company's expansion strategy to grow its land banks for development purposes in prime locations across the Klang Valley. Nadayu said the purchase price for the land was a discount of RM10.50mil or about 95% to the market value of RM226mil based on the valuation by CH Williams Talhar & Wong Sdn Bhd on June 15. The acquisition will be satisfied entirely in cash, and financed via internally generated funds and bank borrowings, it said. KUALA LUMPUR: Asian Real Estate Investment Trusts (REITs) have outperformed global REITS by three times in the past five years. As for Malaysian REITS, they provided an average return of 7%-8%, higher than the average 6.3% returns from Asia-Pacific property trusts, said AmInvestment Bank's director of retail funds (fund management) Ng Chze How. “Malaysia indices give out 3.5% in dividends,'' Ng said, adding that each business cycle averaged between seven and eight years, and that Malaysia was in the third year of recovery. Axis REIT Managers Bhd chief executive officer Stewart LaBrooy said that property values in Malaysia were relatively low compared with its regional peers. “We're seeing a lot of foreign interest in our REITs recently. This is mainly due to a fear of inflation and the huge amounts of liquidity out there. In Malaysia, our problem is size and liquidity. Size is a huge consideration for foreign funds. It would be good to see more REITs in our market. We are seeing people moving into physical assets to protect their wealth,” said Labrooy. He added that it was an Asian thing for people to use property as a measure of wealth. Most Malaysians love to buy properties for their children. “More importantly, its a great way to fight inflation,” said Labrooy. He said that to date, there were some RM280bil in fixed deposits (FD) in Malaysia while there were some RM80bil in savings account. This huge amount of money sitting idle was being eaten up by inflation. “Let's say you have RM1mil in fixed deposits. This will yield you RM27,000 per year. With inflation going at 3.5%, your RM1mil will be worth RM965,000. So theoretically, by leaving your money in the FD, you have a net loss of RM8,000,” said Labrooy. “Whereas, putting that RM1mil in a REIT stock will yield about RM80,000 a year (RM72,000 after tax). With inflation at 3.5%, your portfolio could be worth RM1.035mil upon revaluation. Thus, the total gain is effectively RM72,000 plus RM35,000, which is RM107,000,” he said. Axis presently has 27 properties which include commercial and industrial properties, with a value of some RM1.35bil. These properties are located in Penang, Kuala Lumpur and Johor. Every year, Axis targets to buy five to six properties in the industrial segment. Labrooy said industrial properties had better yields, averaging between 8% to 10%. PETALING JAYA: The Finance Ministry (MoF) has extended the service contract of Datuk Kamarul Rashdan Salleh as managing director of Syarikat Perumahan Negara Bhd (SPNB) for another two years effective July 1. SPNB is a wholly owned unit of Minister of Finance Inc.
Kamarul was appointed to the company's board of directors as managing director on July 1, 2009. According to Kamarul, his target is for SPNB to achieve a total development value of RM2.8bil by 2016 by ensuring all the affordable housing units that the company plans to build are completed on schedule. By 2013, SPNB would have built 36,095 affordable houses, of which 16,423 have been sold. Kamarul obtained his PhD in construction econometrics from University of Salford UK, Mphil Facilities Management from University of Strathclyde UK, BSc (Hons) in Quantity Surveying from Glasgow Caledonian University UK and Diploma in Quantity Surveying from Institut Teknologi MARA.